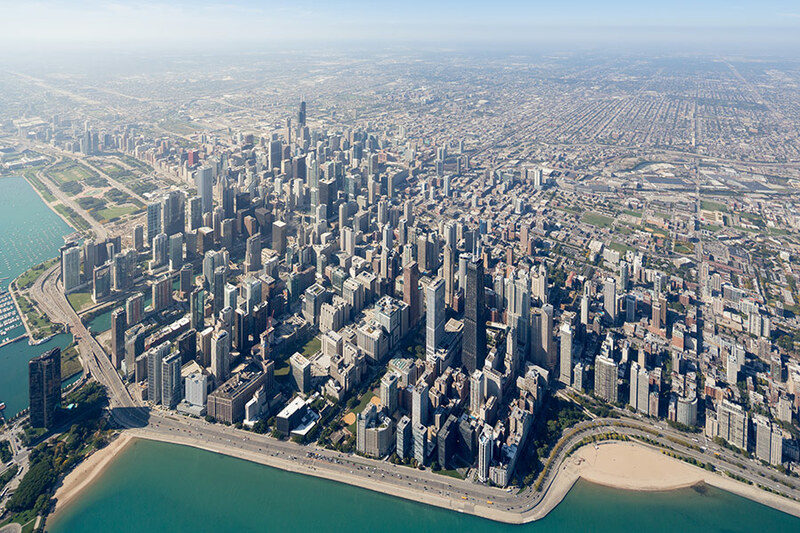 Next month, all heads will turn to the Midwest for the opening of the inaugural Chicago Architecture Biennial. As North America’s largest survey of contemporary architecture, the event will draw participants from around the globe to create exhibitions, installations, and performances—including several practices that call Los Angeles home: Besler & Sons, Bureau Spectacular, Bryony Roberts, Johnston Marklee, P-A-T-T-E-R-N-S, and Productora, a Mexico City-based practice with a principal who splits his time between L.A. and DF. Project titles form a kind of poetry of their own and speak to the breadth of experimental works we should expect in Chicago: Furniture Urbanism, We Know How To Order, House is a House is a House is a House, Grid is a Grid is a Grid is a Grid, Hotel Tulum, The Entire Situation, Mute Icons. The projects range from drill team choreography to software interfaces to collaborative multi-media installations. AN asked participants to share their thoughts on the upcoming Biennial, which is on view October 3, 2015 through January 3, 2016. Left to right: Erin Besler, Besler & Sons; Jimenez Lai, Bureau Spectacular; Sharon Johnston and Mark Lee, Johnston Marklee. Do you consider yourself a West Coast designer? Mark Lee and Sharon Johnston, Johnston Marklee: There is a perpetual sense of foreignness, a sense of constant discovery related to L.A., that we find very attractive. We try to bring this mentality to the projects we are doing outside of Los Angeles. Jimenez Lai, Bureau Spectacular: I am not from Los Angeles and not from Chicago. I have never been a citizen of anywhere. Marcelo Spina, P-A-T-T-E-R-N-S: We do and we don’t at the same time, but this is not being ambiguous. Being from Rosario, Argentina, makes us very close to the ethos of Los Angeles as a mecca of architectural innovation in close proximity to cultural speculation and physical production. We have been in Los Angeles for almost 15 years and this is where our office has grown, so this city, with all its freedom, excess, and clichés, is very much part of who we are as architects and thinkers. However, our projects are as much here as they are elsewhere so we always strive to position our ideas within a larger cultural context, precisely so as to avoid being easily classified as either West Coast, South American, etc. Bryony Roberts: I consider myself a global practitioner with a soft spot for Los Angeles. The title of the Chicago Architecture Biennial is “The State of the Art of Architecture.” How do you interpret this art-architecture relationship? What can an interdisciplinary approach contribute to architecture culture in general? Are there hazards? Wonne Ickx, Productora: We believe there is “art” in every form of productive activity as soon as there is a real commitment with the discipline and a will to question that same discipline. We feel that the art is a very natural component of everything we do. Art and the art world is an obvious part of the context in which we work. Erin Besler and Ian Besler, Besler & Sons: The hazards are many, but fortunately they tend to be just inconvenient rather than mortal hazards. Kind of like a video game where you can’t save. The interdisciplinary approach, for us, seems to really just come down to issues of vernacular, like: How the hell do we communicate with other discourses and design methodologies? Roberts: I interpreted the title to mean an emphasis on the cultural capacity of architecture, which I definitely appreciate, since for me architecture is as much a cultural endeavor as a tectonic or functional one. I think of my practice as moving between different scales rather than between the different fields of art and architecture. Working from the scale of the body to that of the city helps me break out of the convention of the architect producing only singular buildings. But of course it leaves a lot of uncertainty as a business model. Spina: We find this a “call to arms” to take on this contemporary paradox between autonomy and engagement at the highest possible level. I do think architecture needs to be open to speculative dialogues and creative exchanges with philosophy and the sciences, but without giving away its own set of core principles and powers. There are hazards and rewards for this kind of cultural engagement, and with a healthy degree of curiosity and skepticism, we are all for taking risks. Lee & Johnston: What is provocative about the title of the biennial is the underlying question: What does architecture do best that no other discipline can do? Left to right: Marcelo Spina, P-A-T-T-E-R-N-S; Ian Besler, Besler & Sons; Bryony Roberts. What can L.A. (or Mexico City) teach Chicago about architecture? Besler & Besler: We go through a weird adjustment period when we travel back and forth between L.A. and Chicago. It does strange things to your proprioception and the color temperature and stuff because the two cities are so different in terms of building materials. If we had to stretch, we might say that Los Angeles seems to have a lot more interesting and novel residential applications for gutters and downspouts than Chicago—all sorts of strange spans, splits, and transitions. Maybe since they rarely have to serve a hydrologic function they’ve become pure ornament in Los Angeles. But if anyone has documentation of some nice gutter or downspout details from Chicago, please do send them to us! Ickx: The lack of high-end materials or specific building technologies in Mexico demands very basic and straightforward architectural proposals. We think that it is interesting to develop buildings that do not depend on specific constructive processes, technology, or detailing. We believe that in the U.S. there is far too much emphasis on technological innovation and/or representation. Lai: I think saying one city can teach another city about architecture is potentially a dangerous way of thinking about the function of cultural differences. Chicago and Los Angeles have independent and valuable sensibilities, and I do not think the values of one city can be applied to another. Spina: The limits of history as a source for architectural invention.